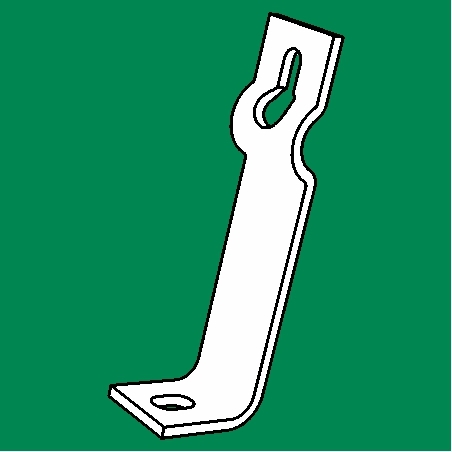 The Hold Down Bracket is used for securing 1-1/8” form panels to footings or underlying slabs against uplift on battered walls or similar applications. Attaches to waler bolt on lowest panel bar (for panels with bars 8” above bottom). Solid construction from single piece of molded 1/4” steel. Keyhole slot for easy slip-on installation. Painted finish for rust prevention.